Brunch is a great way to start any Sunday. A place where you can take your dog for brunch – even better! This entry was posted in Simple Sunday and tagged Brunch, Dogs, Family, Kids, OHSO, Pets. Bookmark the permalink. Hey Shoes! Long time no see! I’ve returned to the blogging world and am happy to see your beautiful posts again! So the question is, what did the dog order? 🙂 I tried to think of a play on words… breakfast, barkfast… it didn’t work. Ha! 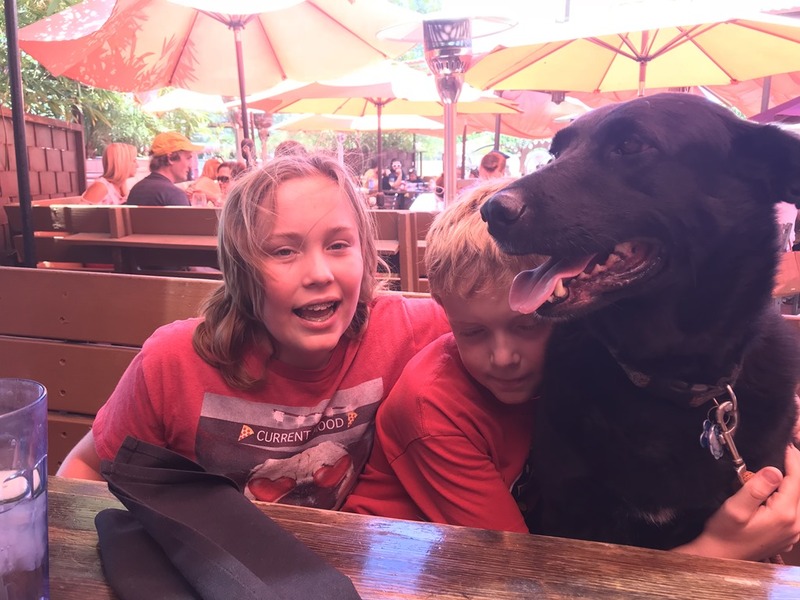 The dog did not have to order anything, simply looked longingly at our food and stayed close to the boys who still tend to drop food sporadically during a meal.